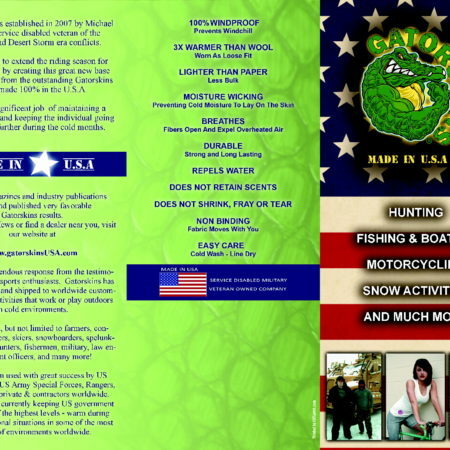 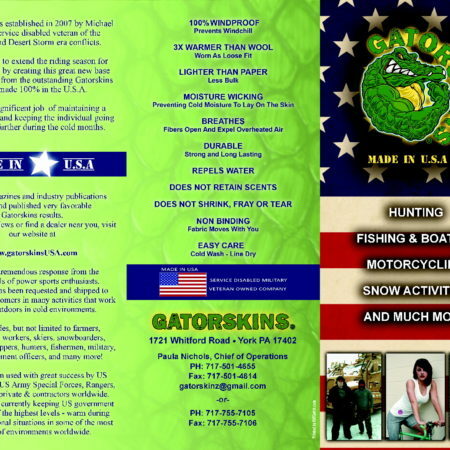 3-Fold Brochure shows all products and prices. 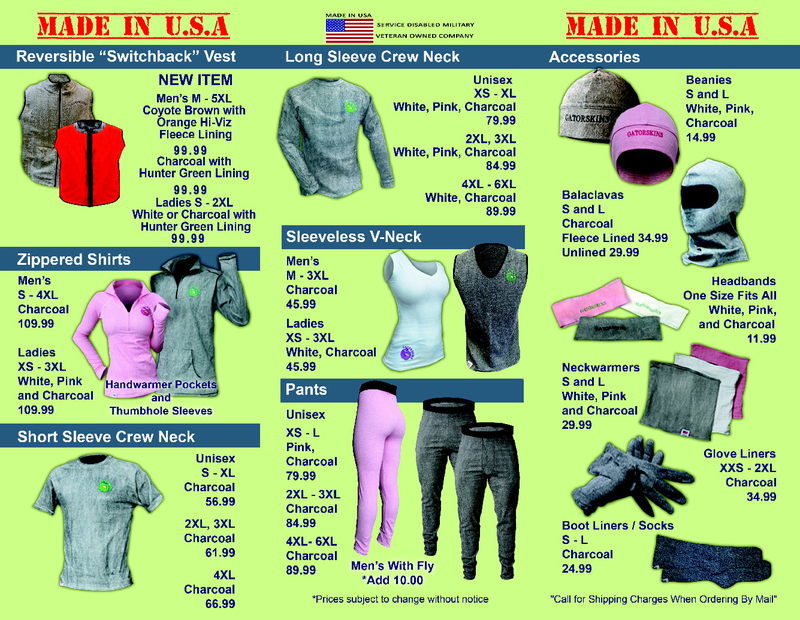 Please call for shipping charges if placing a pre-paid mail order. 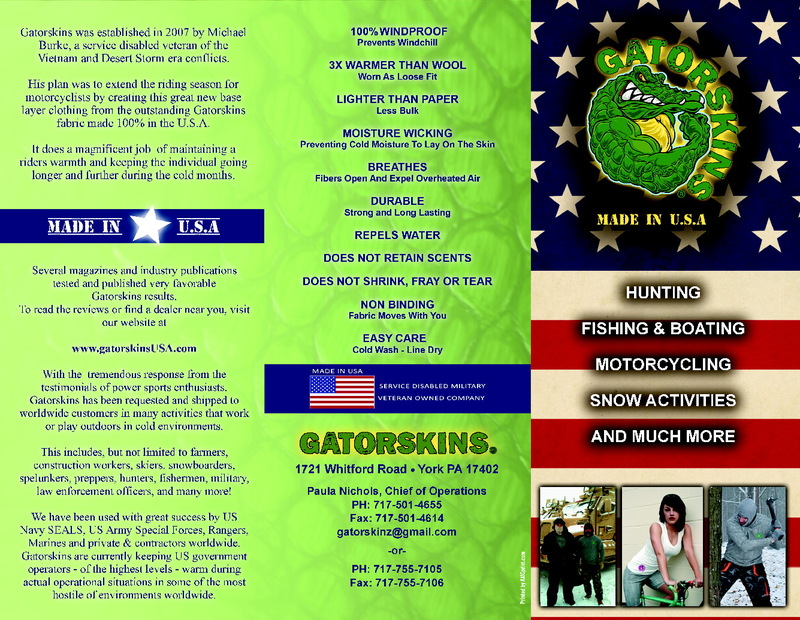 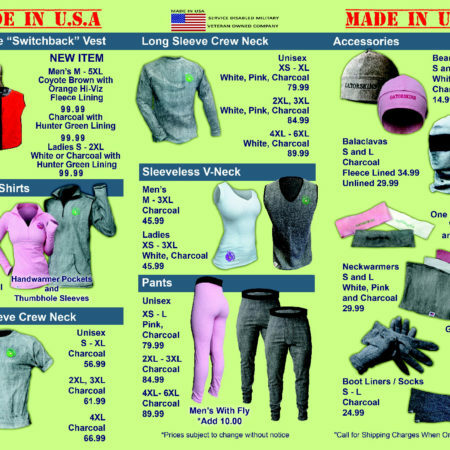 Includes All Gatorskins & “Little Gator” Items, Colors & Sizes.